2.2 What side effects may Turmeric have? – In most cases, turmeric has no side effects when taken in recommended doses. – Between 400 and 600 mg. turmeric 3 times daily. What side effects may Turmeric have? 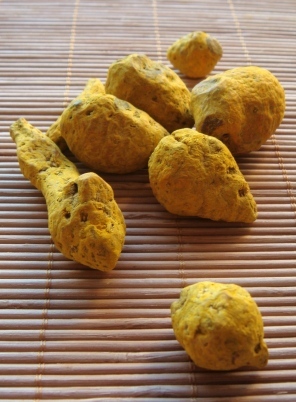 – Gallstones: turmeric has cholecystokinetics, cholagogue and choleretic properties. People with gallstones or gallbladder stones may experience cramping or obstruction of the gallbladder to take turmeric supplements. – Problems gallbladder: Turmeric may worsen gallbladder problems. Do not use turmeric if you have kidney stones or bile duct obstruction. – Contact dermatitis: dust rhizome can produce reactions in contact with skin. – Allergy: Some people can be allergic to dust or turmeric rhizome. Turmeric may have emenagogo effect. It is not recommended to take turmeric supplements in pregnant women. More information about plants and pregnancy.